Riedel wine glasses are some of the most popular gifts for wine lovers out there. And for good reason: Riedel glasses are among the best out there. They’re handmade and perfectly crafted to get the most taste out of your favorite wines. They’re also beautiful. But Riedel doesn’t only make glasses. They also make gorgeous decanters. Decanting wine is an oft-ignored but very valuable technique. It can really help you get the most out of that special bottle you’ve been aging, and it makes for a gorgeous presentation at your next dinner party (or the next time you’re relaxing on the couch at home). Here are some of our favorite decanters from Riedel. 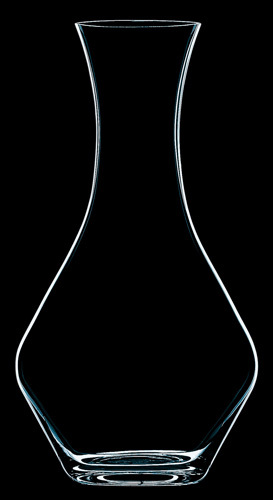 The Riedel Cabernet decanter is a classic, elegant shape. It would look gorgeous on your bar or dining room table. And of course, it will help you bring out the most in your wines. 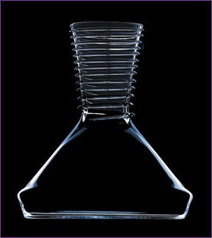 The Riedel Tyrol decanter is just as elegant, but it takes an unusual, eye-catching shape. 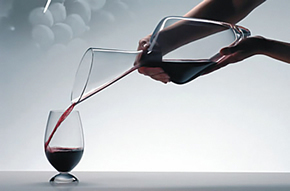 When not in use, it rests gracefully on its side to aerate the wine. Ok, ok, this isn’t a decanter. It’s a martini pitcher! A martini pitcher is a must-have for parties, and this one, with its classic-yet-edgy shape, will never go out of style. So you’ve got an old bottle of Cabernet Sauvignon that’s been aging in the cellar for years. You think that dinner party Friday night might be the perfect time to show it off to your guests. But let’s do it right, shall we? There’s no sense in carefully aging a bottle for years if you’re just going to plop it in the middle of the table. Decanters are a practical and beautiful tool for serving certain wines properly. Aged wines and young red wines are both good candidates for decanting. Aged Wines: As wine ages, the chemical reactions it undergoes produce what Americans call sediment and the French call lees: small solid particles that collect in the bottom of an old bottle. These particles are harmless to the drinker and may even provide valuable antioxidants, but they are aesthetically unpleasant, and can have a bitter taste that ruins the fine wine experience. Decanting an old wine removes any sediment that has collected, and makes for a beautiful serving experience worthy of the time you’re spent waiting for that wine to age to perfection. To decant an old bottle of wine, first make sure to allow several hours to let the bottle stand in an upright position. This allows the sediment to settle at the bottom. Though much of the sediment will fall quickly, the fine particles may take up to 24 hours to make their way to the bottom. When you’re ready to decant the wine, remember that they key is to pour slowly. Tilting the bottle as little as you can, slowly pour the wine into the decanter. When you get to the last third of the bottle, start watching carefully for sediment to appear in the neck. As soon as it does, stop pouring. As too much exposure to oxygen can diminish the flavor of old wines, serve the decanted wine right away. Young Red Wines: You don’t need to be as careful when decanting young red wines as you do with old wines, since young red wines have not had time to develop sediment. So why decant them at all? Red wines tend to be very high in tannins, compounds which can impart a bitter, astringent taste to the wine. If exposed to oxygen, or allowed to aerate, these tannins will mellow out and make the wine taste much smoother. Therefore, in decanting young wines, the goal is to give them as much oxygen as you can. So go ahead and splash that bottle of wine into the decanter: the more it splashes, the more oxygen it gets. Let the wine rest for a short while, and then go ahead and enjoy. Serving wine in a decanter is a great way to make drinking it a little more special. 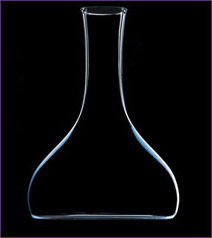 A beautiful decanter can make an attractive–and useful!–centerpiece for the table. 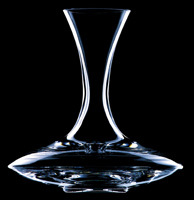 Vintage Cellars offers some great decanters from that renowned maker of fine glassware: Riedel. Check out some of Vintage Cellars’ amazing Riedel decanters here.